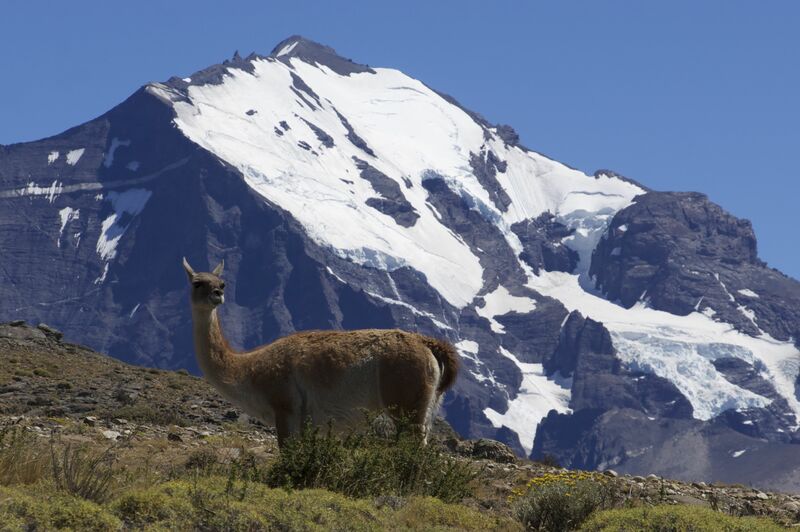 It’s Saturday and we’re in El Calafate, Argentina. Still in Patagonia. Still having extraordinarily beautiful weather. Our guide reminds us at least three times a day how lucky we’ve been. We had sunshine in a Chiloe Island, where our guide said it rains “366 days a year”. The volcano took a little rest when we were close to it and allowed the sky to clear so we could see the Andes. 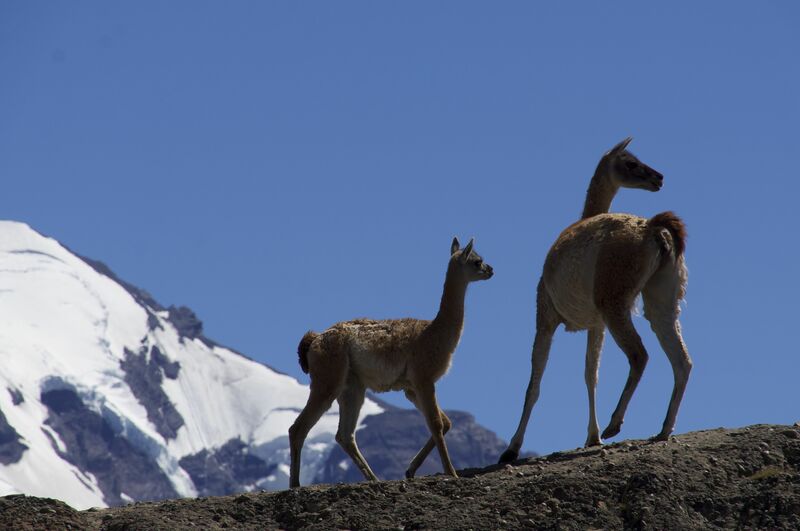 The forest fire is Torres Del Paine quieted so the national park and hotels were able to open. We did see a lot of burned area, but it’s a big park and a fire can’t ruin it. The jagged peaks are so magnificent they take your breath away. 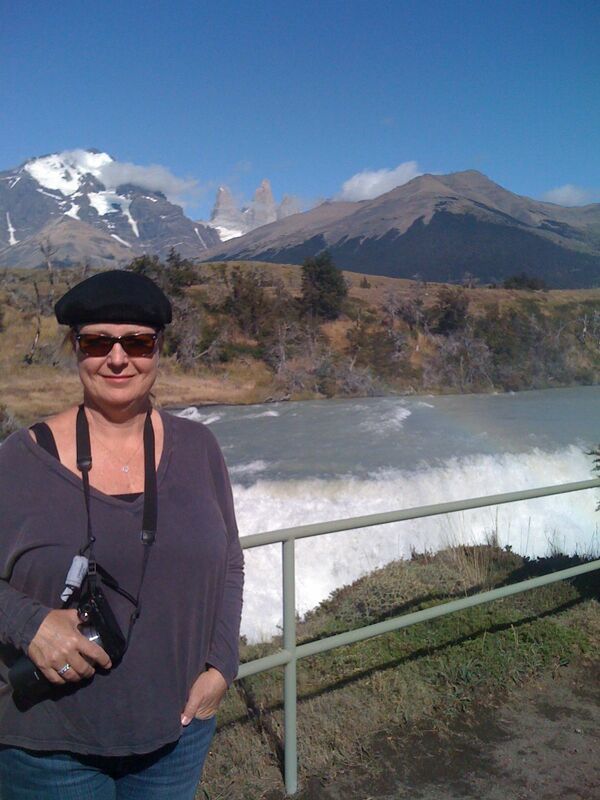 When we arrived in Torres Del Paine we had more typical weather — cool, rainy, and most of the peaks hidden in clouds. But the next morning we woke up to glorious blue skies and were able to have a very full day of hiking. 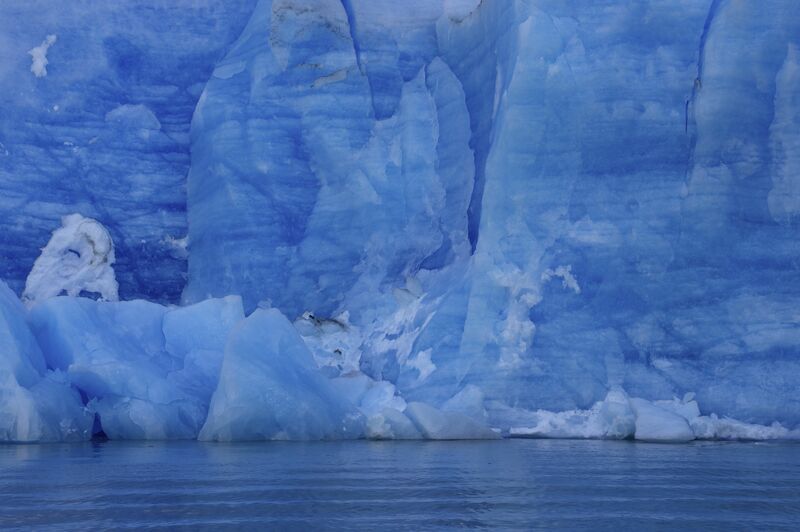 We began the day on Lago Gray and got a close up view of the glacier. 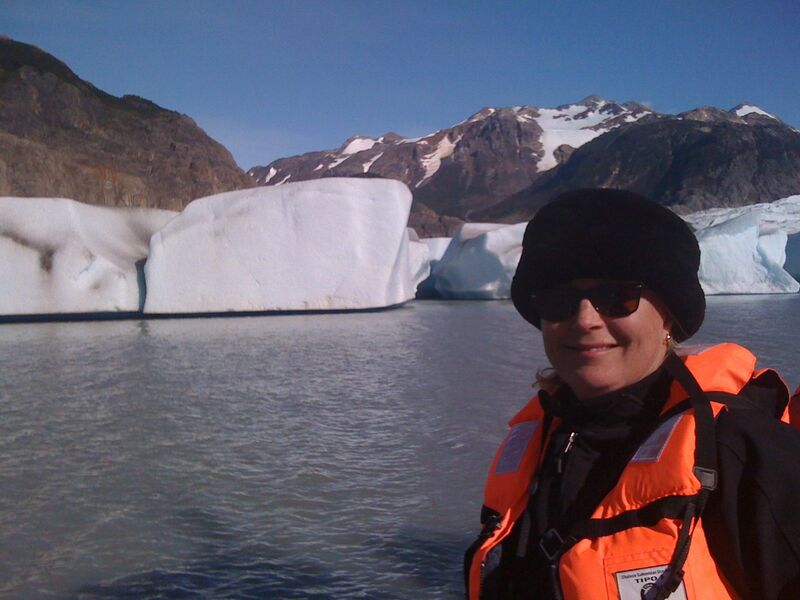 You know how happy icebergs make me! I could hardly contain myself in that crisp blue air. I actually got to wear my sheepskin hat (I’ve packed so badly — it’s really warm down here!). 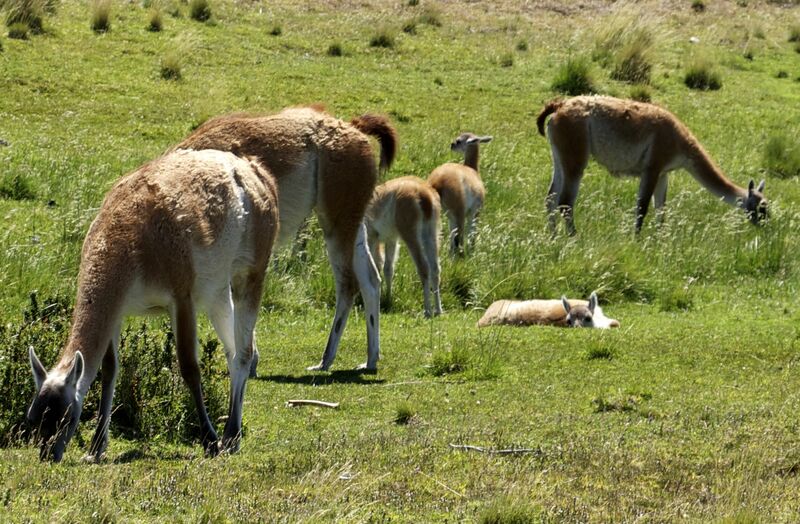 We rounded a bend and there were dozens of guanacos. As long as we moved slowly and stayed in single file, they didn’t seem to be bothered by our presence. It was hard to keep moving — I could have spent the afternoon watching them. 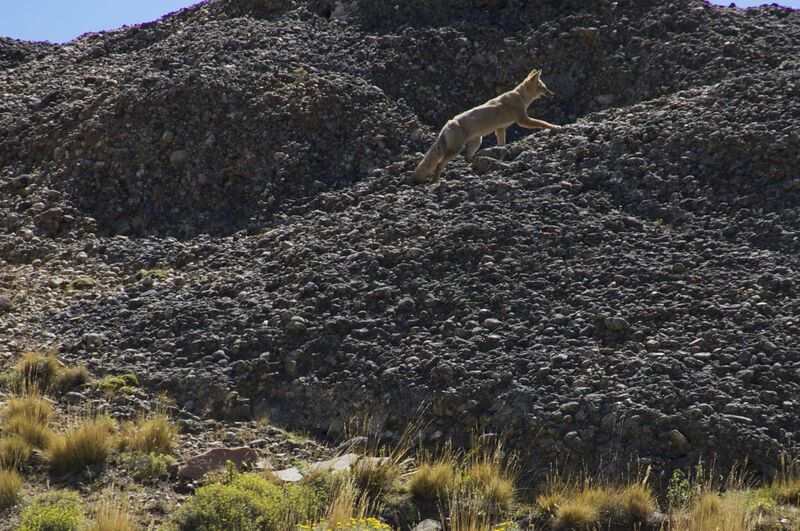 Sorry to jump around but I took this one the day before from the road between Punta Arenas and Torres Del Paine. 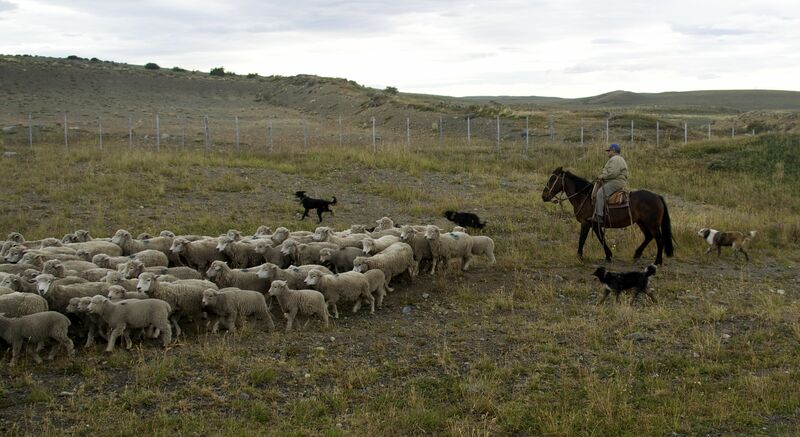 There were hundreds of sheep and all controlled by two guys on horseback, one on foot and about six dogs. I felt a little guilty when we stopped because it seemed like we were stressing the sheep — but you don’t get to see working dogs every day. We’ve had some very long bus rides. Patagonia is a huge place and the roads aren’t always good. 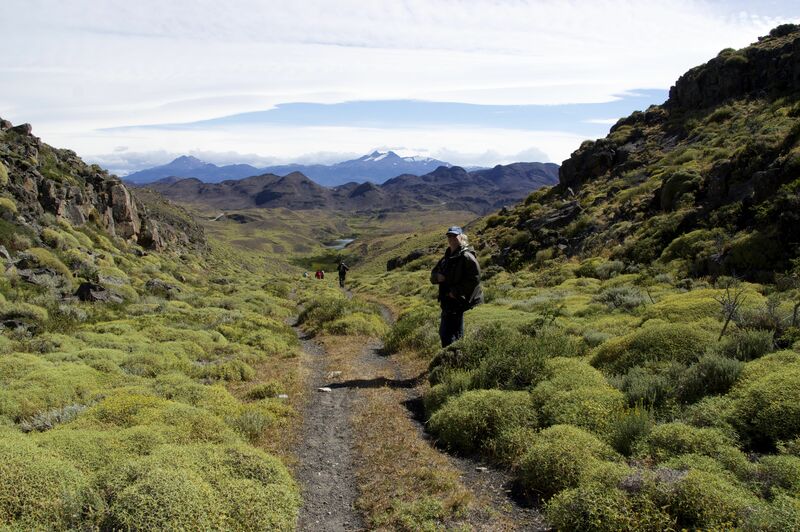 None of the roads in the Torres Del Paine National Park are paved. I’m not complaining — it is so beautiful here it’s worth the effort. That’s Barn on the trail. Today we spent the morning at the largest glacier in Argentina. I have to go download my photos. Will try to get something together so I can make another post before we leave. It was so windy — and Barnaby has taken so many pictures of me…. his phone has gotten a lot of use. More later. This entry was posted on Saturday, January 21st, 2012 at 11:50 am	and posted in Uncategorized. You can follow any responses to this entry through the RSS 2.0 feed.